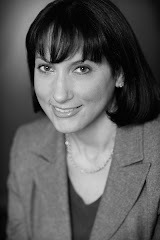 Ronna Wineberg was born in Chicago and educated at the University of Michigan and the University of Denver College of Law. Her collection of short stories, Second Language, won the New Rivers Press MVP Literary Competition and was published by New Rivers Press in October 2005. The book has been nominated for the PEN/Faulkner Award for Fiction. Wineberg was a 2004 fellow in Fiction from the New York Foundation for the Arts. Since 2000, she has been the fiction editor of the Bellevue Literary Review. Wineberg has been awarded residencies to the Ragdale Foundation and the Virginia Center for the Creative Arts, and has taught writing at New York University. She has also been a public defender and had a private law practice. She lives in New York with her husband and children. Erika Dreifus: Ronna, thanks so much for taking the time to "talk" with us. I know it's been a busy time for you. Let's start with some background. Please tell us a bit about your development as a fiction writer. Did you ever consider the MFA route? Why or why not? Ronna Wineberg: First, it's a pleasure to be interviewed by you, Erika. Thank you for asking such excellent questions. They helped me review what I've done with my writing and why. I followed a circuitous path to becoming a writer. I didn't consider the MFA route when I graduated from college. I went to law school because I wanted to do something practical and help underserved and poor clients. I worked for Colorado Rural Legal Services, as a public defender, and had a private practice. But I was always interested in writing. When I was a public defender, I wrote stories and poems while I sat in court, waiting for a case to be called. I stayed late at the office writing. I lived in Denver at the time, and one summer, I attended the Aspen Writers Conference. My instructor, Kathleen Spivak, was encouraging. She suggested I take a writing class and recommended the University of Denver. I talked to a professor there who allowed me to enroll in a fiction writing class in the MFA program, but not for credit. I loved what I learned, and enjoyed the interactions with other students, reading their work. I took another class. I became more serious about writing fiction and became a member of a writers group. I had a simple goal at first--to learn to write a story that worked, that conveyed emotion. This was harder to do than I imagined. I wrote story after story. I decided that I wanted to pursue an MFA I talked to someone at DU about being admitted to the program and was told I needed to take the GRE exam first. I made plans to do this, but then my husband was offered a job at Vanderbilt University. We moved to Nashville. There was no MFA program at Vanderbilt then. I considered applying to a low residency program. But this seemed too great an undertaking at the time; my three children were young. So instead, I tried to construct a writing life. I attended conferences, Sewanee and Bread Loaf. I joined a writers group in Nashville. Some of the members had published books; I learned from them. I continued my connection with writers and mentors I had known in Denver. I read short stories. And I wrote. ED: For those who haven't yet read it, Second Language includes 13 stories, most of which were previously published in literary journals/magazines. Many short story writers (and poets and essayists, for that matter) are advised to publish their work in journals before trying to publish a collection. What's your take on this, and what advice can you offer about publishing individual pieces? RW: I would strongly advise a writer to publish short stories in journals first, or to publish in journals even as the writer is looking for a publisher for a collection. It can take a long time to find a publisher for a book, years and years. It can be a discouraging process. Short story collections are hard to place. Journals provide a venue for your work, and publication there can boost a writer's morale. It's a great feeling to have individual stories published (or poems or essays). This gives you a chance to have success along the way, to be visible as a writer, to have readers, and become part of a wider writing community. Sometimes journal editors will offer suggestions for revision. Also, when you publish in journals, you're building a list of publications that you can mention in a cover letter to an agent or editor. And agents and editors read journals; one might like your work and contact you. In terms of suggestions for publishing individual stories, my advice is probably similar to what other writers have said. First, be persistent. The rejections are hard. But the best way to deal with them is with persistence. If a writer receives a rejection with a comment, that's encouraging. Editors receive enormous amounts of submissions and give comments only when they are impressed with the writing. Send the story out again. Send another story to that same editor. I found that, on occasion, I developed a relationship with editors. Sometimes two or three stories were rejected, and the editor accepted the next story. Also, make informed choices about where to send work. Read a journal before submitting to get a sense of what the journal is looking for, themes or styles. See how you like the work in the journal. Be realistic. If you submit to the New Yorker or a famous literary journal, your chance for publication is extremely slim. Start with smaller, well-respected journals that are open to new and emerging writers. Third, be systematic. Keep a notebook or computer file with information: name of story, what journal and editor it was sent to, the date, the date and content of response. Ideally, the week you receive a rejection, send the story out again. An editor may reject a story because of the needs of a particular issue. I've seen this with the Bellevue Literary Review. We have rejected pieces reluctantly because we had too many on the same theme or dealt with the theme in the previous issue. Follow the journal's guidelines. Be sure your manuscript is neat, double spaced, without typos, grammatical or spelling errors. Write a simple cover letter, listing where you've published (if you have), if you have an MFA or anything you feel is pertinent. But keep the letter fairly short. I would advise against giving a long description of the story in the letter. Let the work speak for itself. Be sure to enclose an SASE if you submit via regular mail. Don't submit a story until you feel confident it's finished and ready to be sent out. This can be hard to judge, though. If an editor offers suggestion for revision, consider the comments carefully, but revise only if the suggestions seem accurate to you. You'll most likely want to revise (if the comments are helpful) if the editor makes a commitment to publish or says he or she will take another serious look at the revised story. And last, the writer needs to consider whether he or she wants to submit work simultaneously, to more than one journal at a time. ED: Second Language has been published by New Rivers Press through its MVP competition. The book's closing story, "The Doctor," was published in The Licking River Review and was also a finalist in two prestigious competitions. An earlier version of the book was a finalist for the Willa Cather Prize from Helicon Nine Editions. So submitting your work to contests, as well as to literary journals, has clearly formed part of your writing/publishing experience. In an e-mail, you commented: "I'm a believer in contests as long as a writer has patience and realistic expectations (as with all of writing)." Can you explain a little more about your approach to literary contests and competitions, and share any tips you may have for other writers? RW: I am a believer in contests. However, I try to approach contests realistically. On the one hand, there is just one winner and a few finalists, so the chance of success is much less than if a writer sends to a journal. However, if you are fortunate to be a finalist or winner, it's a great honor. One of my teachers suggested I send my story collection to contests since collections are so hard to place with publishers. Often, the prize of a competition is publication of a book. I researched what contests existed for short stories, and decided to submit the manuscript to some competitions. I came to value contests early on. I was fortunate that one of the first stories I wrote, "The Feather Pillow," won a prize in a local contest, the Denver Woman's Press Club Adult Short Story Contest. There was a monetary award, though no publication. I was thrilled and grateful for the affirmation. I've entered a few individual stories, like "The Doctor", in a contest because I've believed in a story, felt it was a strong piece of work. When Second Language was chosen a Finalist for the Willa Cather Award, this strengthened my belief that someday the collection would be published. In terms of tips, I'd suggest researching what contests are suitable for a writer's work. There are lots of contests--for story collections, for novels about social justice, for writers who have never published books, writers who have already published books. Local contests are a good place to start. There are also contests limited to writers who live in specific geographic areas. Find what best reflects your work. Preparing a manuscript for a competition, either a single story or a collection, is a good way to push the work to another level, make it more professional. In addition, when entering a contest: 1. Follow guidelines and honor deadlines. 2. Consider cost. Some contests have no entry fee, which is very appealing. It can become expensive to enter a lot of contests, so choose carefully. And choose carefully what work you submit. 3. Consider past winners--are they well-known writers or ones at earlier stages in a career? 4. Once you enter the contest, forget about it, and go to your desk and work on current projects. You'll eventually hear the results. 5. Keep a record of where you've sent your work. ED: Rosellen Brown has described the "second language" of these stories as "desire...an unrealized longing, a secret unearthed, a passion suppressed or--unexpectedly--yielded to. The situations of Ronna Wineberg's characters are diverse, but they circle one inescapable theme with flawless emotional accuracy: that few are fulfilled, and even fewer will live out their lives without at least trying, bravely, to make a break for it." This is very powerful stuff (and, as a reader, I find it wholly accurate). To what extent were you aware, in crafting the stories, of this essential quality? RW: I was surprised and very flattered by Rosellen Brown's description. However, when I wrote the stories, I wasn't aware of these themes. But as I thought about her words, I realized she was right. I wrote one story at a time about what interested me at the moment. I didn't have a theme for the book. The themes evolved intuitively. So I'm glad the book seems to work thematically. ED: Several stories in the collection portray (or at least allude to) experiences of illness and healing (of the main characters or someone close to them). A number of stories also feature physician characters (in "A Crossing," the protagonist is a pediatrician facing her own life-threatening illness). Tell us how your interests as a fiction writer have contributed to your editorial work for Bellevue Literary Review, a literary journal published by the Department of Medicine at New York University, and how your experiences as an editor have influenced your own writing? RW: Before I became associated with the Bellevue Literary Review I was interested in health and healing. I have always believed that medicine in its purest incarnation is a noble profession. I admire its power to heal, but I am also aware of the tension between its promise and its limitations. Writing about illness and doctors allowed me to experience the profession vicariously. That's what one can do in fiction--live different lives. Being an editor has influenced my work. I learn from the fiction I read for the journal--about technique, what works and what doesn't, about language, voice, point of view. I've tried to be objective about my own work and use my editing skills on it. But I think it's easier to edit someone else's work. I've also learned about how a journal functions and have seen first-hand the enormous numbers of submissions. RW: I compiled different versions of the story collection, at first experimenting with titles. After I had the title, I continued to debate which stories to include. The process was like putting together a puzzle. I shuffled stories, adding some, taking out others, experimenting with the arrangement. When I wrote a new story I felt was stronger, I included it and removed a weaker one. The manuscript I sent to the Willa Cather competition was titled Second Language, but it didn't include all the stories that are part of the book. After the manuscript won the New Rivers MVP competition, my editor at New Rivers Press suggested that I consider putting fewer stories in the collection and change the arrangement. He left it up to me whether to make the changes. I had worked so hard on the sequence already and was reluctant at first to make a change. But when I looked at the stories again, I realized he was right. I saw which stories could go. I decided to put what I considered a strong story first and last, beginning with a story that touched on what I saw as the book's themes. I wanted the sequence of stories to have a logic to it, although I knew that readers do not necessarily read a collection in the order, but jump around. Once I started rearranging, the new sequence became apparent to me. I hope it worked! ED: Anything else you'd like to tell us? RW: Thank you again, Erika, for interviewing me. It's wonderful to "talk" to you and your readers, an honor and privilege. I am a big fan of Ronna, as a writer and as a woman. Thanks so much for reading it (and commenting), Suzanne!